Clips from select testimonies may be streamed through the online catalogue and records discovered through Advanced Search and Browse. The number of testimonies available for viewing online depends on permissions and restrictions for each testimony recording. Please contact VHEC Collections staff to inquire about testimonies that have not been made available online but are accessible for viewing on-site. Time-coded narratives are a research and navigational tool intended to serve as a textual accompaniment to the video recording and a supplement to the catalogue record. They are not a substitute or replacement for viewing the testimony itself and are not a transcript of the recording. The narratives summarize the content of the testimony with sufficient details and context to enable users to judge relevance, length and level of detail for specific portions of the testimony. Photo identification must be presented and registration is required prior to accessing materials in the Archives, Museum and Holocaust Testimony collections. A semi-private viewing station is available for users wishing to view testimony recordings at the VHEC. Collections staff will be available to answer research questions and to help users navigate the VHEC's cross-collection database. While testimonies contain personal reflections on daily life, viewers may encounter details and recollections pertaining to Nazism, racism and genocide that may be upsetting or triggering. Some testimonies contain more graphic content than others. Visitors are encouraged to be aware of their emotional and physical responses when viewing material in the collection. Take breaks when needed. Learn more about using testimony in the classroom here: Testimonies in the Classroom. Find more information about Planning a Research Visit and the Use and Licensing of materials in the VHEC Collection. 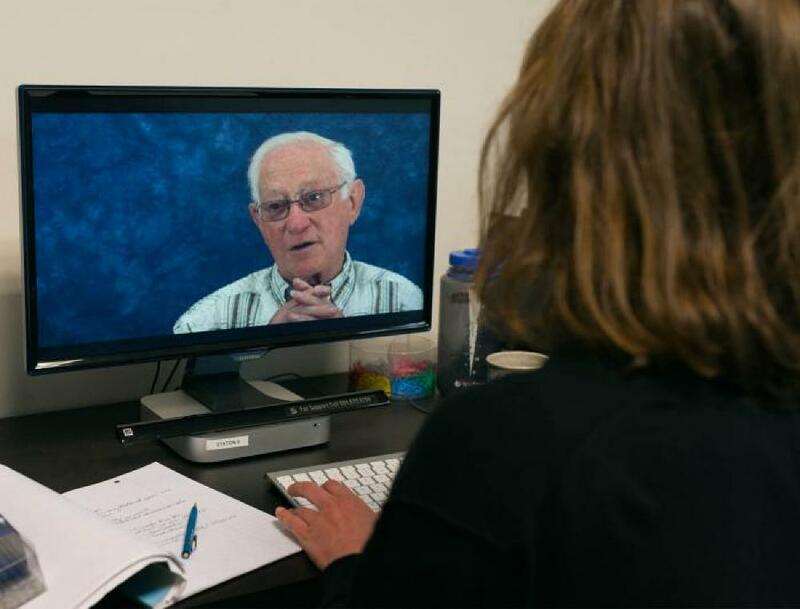 As an affiliated project, the VHEC has been given remote access to the Fortunoff Video Archive for Holocaust Testimonies at Yale University. Researchers can search their catalogue (http://orbis/library.yale/edu/vwebv/) and view digitized recordings of over 4,500 testimonies, which are comprised of over 10,000 recorded hours in twenty-two languages. Please contact the VHEC in advance of a visit to schedule an appointment. Recordings are not available on-demand but may be requested through Fortunoff Video Archive and approved for viewing at the VHEC. Conditions on access and use of recordings are established by Fortunoff Archives. Permission to view material is not permission to publish (see http://web.library.yale.edu/testimonies/services/publish for more information). The VHEC cannot give permission to publish material held at the Fortunoff Archives. Video recordings from the VHEC’s own Holocaust Testimony collection are also available for viewing on-site by appointment. Search our online catalogue for available testimony recordings here https://collections.vhec.org/Testimony/Index. Holocaust testimonies, their catalogue records and time-coded summaries should be cited whether they are quoted directly or paraphrased. All references to interviewees used within a publication should be constructed as follows: First name Surname initial (ex: Rita A. was born May 21, 1931 in Romania).